I am pretty sure that this has to be one of my favorite commissions so far, these guys were so fun to paint and models I would not have purchased on my own. 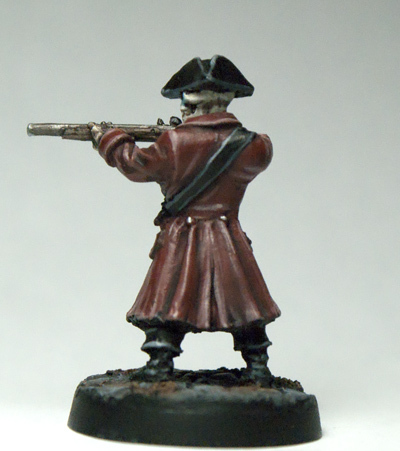 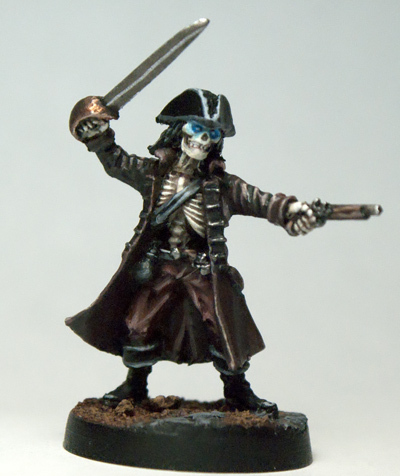 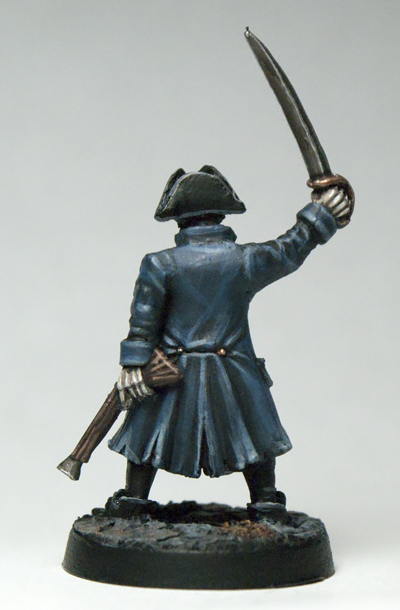 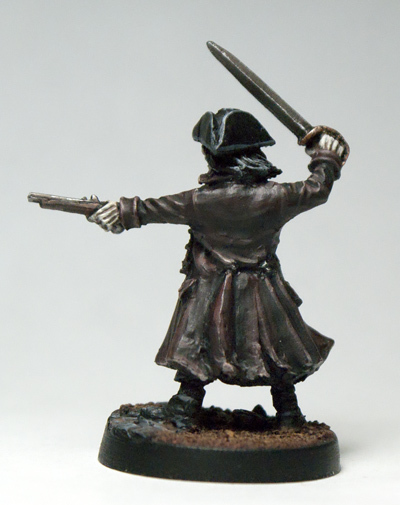 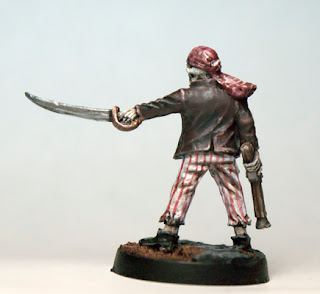 I had never even heard of the miniature company, Black Scorpion, you should go check them out, they have a lot of wonderful pirate and old west minis. These are just the first four of the commission, I have four more regular pirates and then the captain. 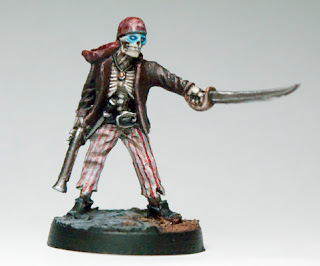 The client wanted me to paint them up to a reasonable but not showcase level of quality. I happily added in some cobblestones, glowing eyes and striped pants, have to let myself have some fun. 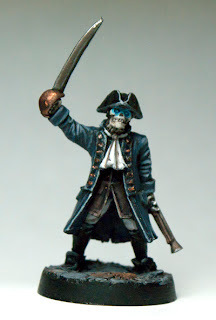 I am looking foward to finishing up this commission in the next week or so. 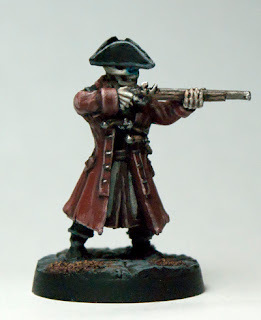 Expect my next few posts to be about commissions I am working on, it will alternate between these guys, some Necrons and the Sisters I have been working on all summer.